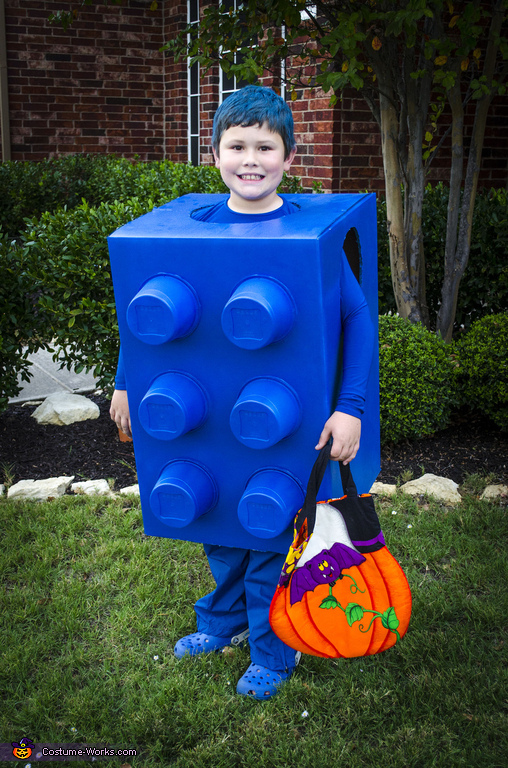 I made this costume for my son, Parker, who loves legos! It is made from a cardboard box, with the bottom cut out, two holes in each side for arms, and one hole on top for the head. I hot-glued six rubbermaid containers to the front and then spray painted the whole thing blue. Cost was approximately $30, including the blue clothing underneath.